When casting his leading lady in the now immortal King Kong, director and producer Merian C. Cooper famously told Fay Wray: “You will have the tallest, darkest leading man in Hollywood.” Excited, she thought Cooper meant Clark Gable. Of course this tall dark stranger was not Clark Gable – he was something else entirely – but what a something else he was. And, indeed, he, this giant gorilla (lest you impossibly have no idea what I’m talking about) was truly the picture’s leading man – a damaged romantic, a rampaging id, a selfish, jealous lover, a violent innocent. All of those things that poured out of that tall, dark gorilla’s psyche, was at least a few things we could recognize in ourselves, at our most frightened and frightening state. 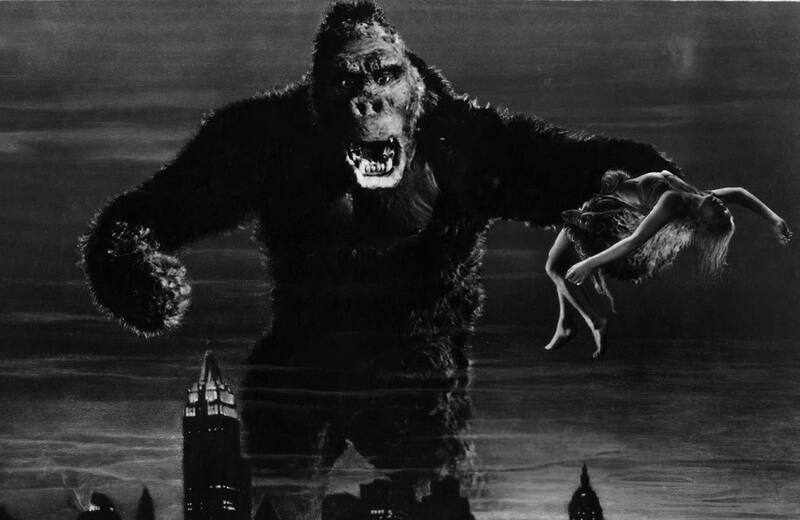 In King Kong, the only one we root for when it comes to survival and of protecting poor, beautiful Ann Darrow, (Wray), whom we also root for, is that 50 foot gorilla. That’s how it is for me anyway. And that’s part of the magic and power of Kong: we side, sometimes gleefully, full of righteous indignation, with the monster. Every man on the boat who journeyed Ann to that faraway island for entertainment and adventure (and food – the desperate woman was near-starving when discovered) can go on and race after Ann in the jungle or in the city, ward off creatures they never knew existed, risk life and limb for her. No matter. Pursuing the beauty nabbed for sacrifice, it is the misunderstood Kong who will not take his female offering to death, he loves her or wants to love her, and, perhaps this is wrong, but we are with him all the way. It’s primal and, in some cases, irrational, but within this fantasia, the only way we can possibly feel. We understand Ann’s terror and entrapment and yet… well, how do you make sense of any of this? You don’t. Until you see Kong again. Kong worries about Ann on a pure, instinctive level – more than the director who stuck her within all of this insanity for a life off of the street, to “save” her from the grinding existence of the great depression. Like a sleepwalking dance marathoner, only one wide awake, screaming and kicking through her nightmare, she looks forward to adventure and some money, only to land in madness and sensationalism. But Kong doesn’t want that. He’ll place her in a tree and battle a T-Rex that creeps out like some horror poor Ann’s hallucinated (the worst delirium tremens in the world), prying open its jaws and killing the thing while making sure screaming, feet-kicking Ann’s not been trampled underfoot. He knows she doesn’t need that. 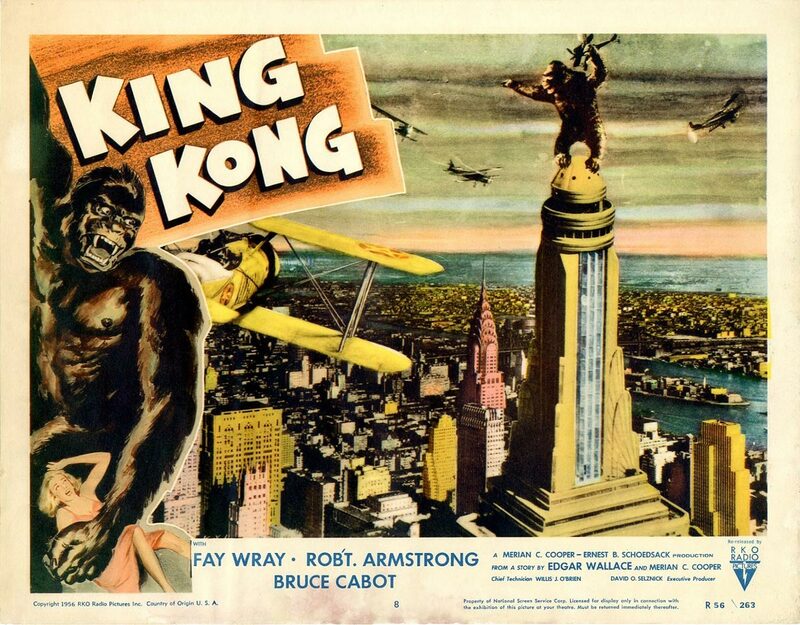 And it is Kong who will break free from his chains to save Ann from the popping flashbulbs of reporters – not villagers with pitchforks, but snapping vampires chronicling both the sad, chained ape and the methodical human drama via director/showman, Carl Denham (Robert Armstrong), in which Ann’s engagement to her first mate boyfriend (Bruce Cabot) is crassly presented to an audience – a big P.T. Barnum reality show. For Denham, this is the staged happy ending to a fantastical, dark and terrifying fairy tale he was thrilled to capture – it will make him famous – this is his masterpiece. But Kong is having none of this callous narrative. Those flashing bulbs are going to hurt Ann, Kong thinks physically, and he reacts by, yes, freeing himself, but also in a metaphorical sense – he will rescue this young woman from further exploitation. 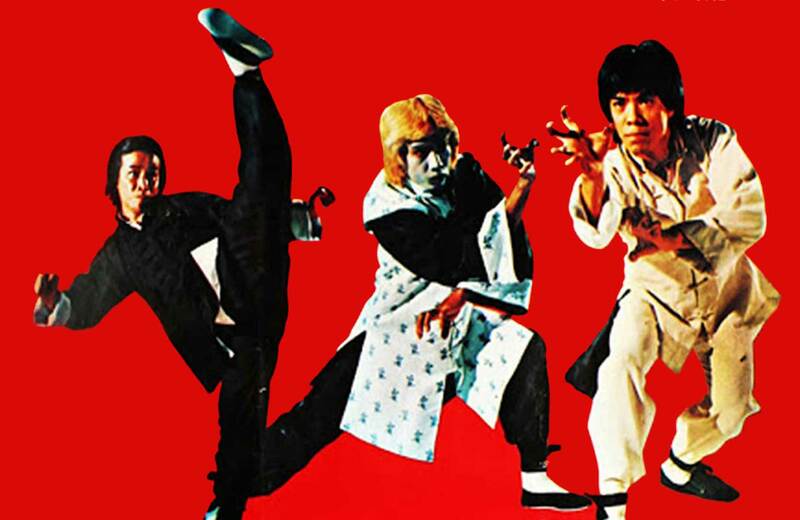 And then Kong will create his own masterpiece – through death. And that death! Watching King Kong as a child is a seminal experience for many viewers. You’re expecting what you think will be a monster movie, whatever that will mean, and it is, but it deepens beyond so much more than screams and enormous pre-historic creatures that inexplicably live on this place called Skull Island. As a kid you’re startled by the emotion and sympathy it brings forth, as if you’re watching Bambi (I saw both movies right around the same time so they often comment on each other – dual traumas) – and your initial terror turns to tears. King Kong (directed by Cooper and Ernest B. Schoedsack, screenplay by James Creelman and Ruth Rose from the story by Edgar Wallace) affects on levels that we feel deeply, but as kids, aren’t always able to articulate beyond the empathy for an unfairly trapped animal. And, yet, you feel something else, something sexual, lovelorn, strange. It does not feel foreign. I gasped and sobbed when the mighty creature was shot down and went plunging off the Empire State Building. It’s a strangely elegant plummet – Kong’s arms making those balletic and surreal flourishes as he attempts to hold to the tip of the building and then, in great pain, he lets go. This is a moment of such beauty and tremendous epic tragedy that, as Kong is so specifically designed (by Willis O’Brien and Marcel Delgado) and is so artfully, pointedly placed (on something as iconic and as American as the Empire State Building) … what else are we supposed to feel but sadness? We are certainly not relieved. The shock felt at the end of King Kong is quite extraordinary given that there is no way one could expect Kong to actually survive this. It’s not a surprise. And, yet, you’re not prepared for it. 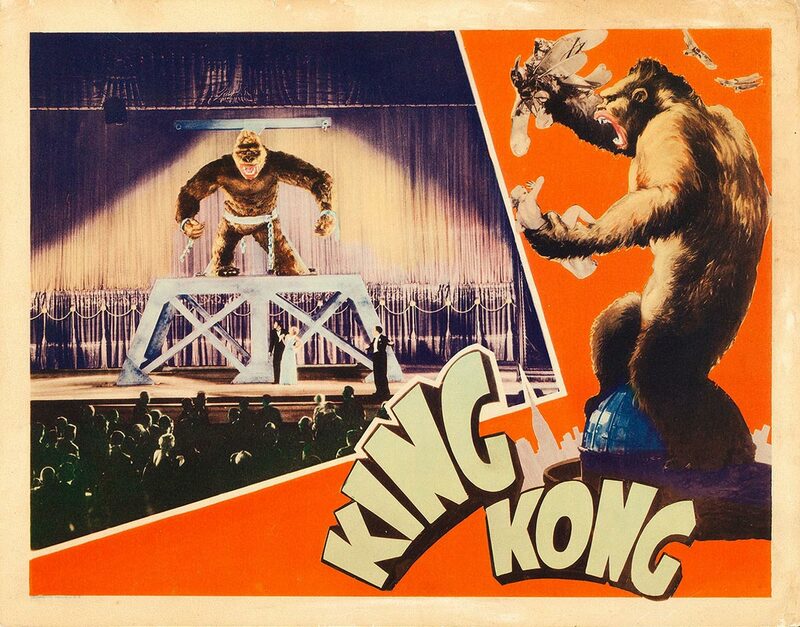 The tragic scope of Kong has been discussed endlessly and even addressed in subsequent remakes in which Kong is directly designed as a heartbreaking figure, but the true power of this influential, ingenious creation is in watching Cooper and Schoedsack’s 1933 presentation, a first of its kind, and one never bettered. The original picture presents Kong’s fate with less editorializing and allows its potent visual poetry to inform our emotions, to submerge us in this dream. No one says, “that poor ape” – but we do (and the filmmakers as well). We know from the moment we see the creature’s entrance, even if fearful of him, that he’s not the villain. Through movement, jerky and fluid, the way his eyes widen or soften, his ferocious and caring gestures, the way he brushes at Ann or even peels off her clothes and smells them (sexually and curiously), Kong is given a humanity that is both fantastical and familiar. The picture smartly knew where our hearts would take us.